This Regal Style rectangular commercial picnic table is made of commercial grade thermoplastic coated steel. 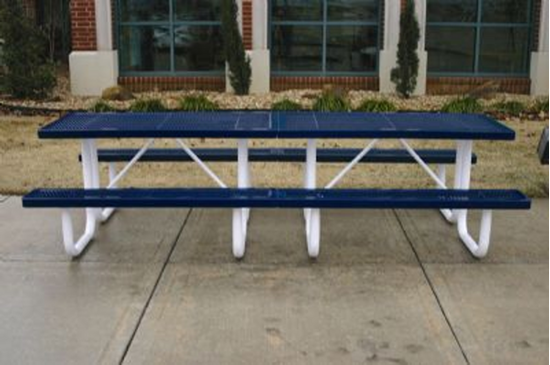 Get ready to party on with this 10 foot picnic table for large groups as it seats 10 people. 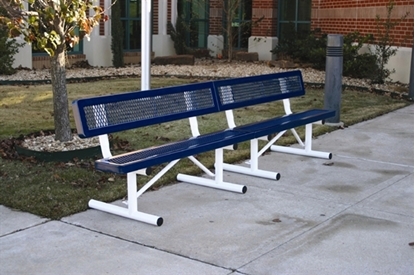 It is perfect for picnic dining whether used in a school or park. 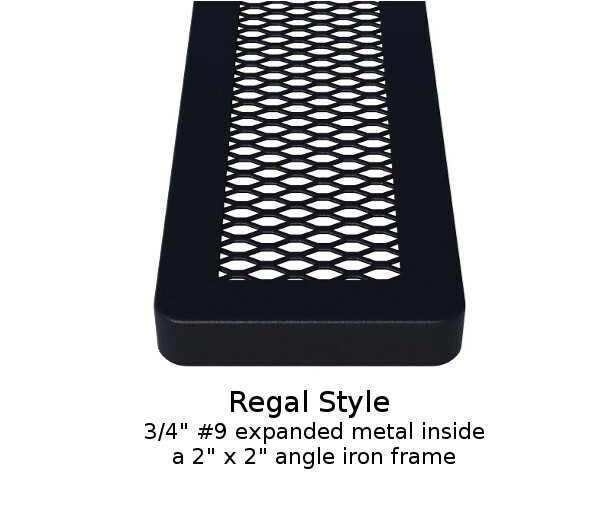 The top is made with two plastic coated 3/4" expanded metal 5 foot pieces and 3 sets of 2 3/8" galvanized steel powder coated legs. 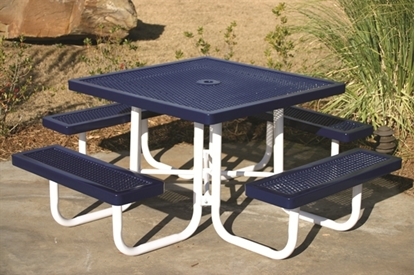 This table is portable for convenience and can be secured to a hard surface with leg clamps.